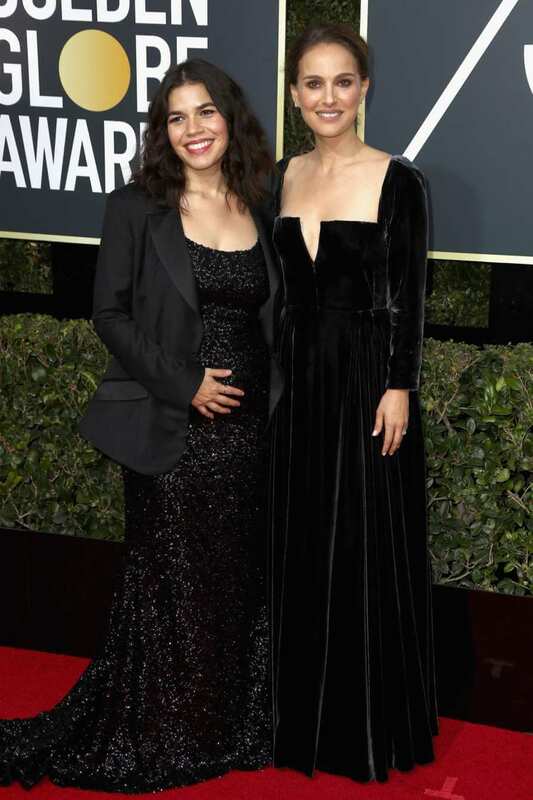 The 2018 Golden Globes red carpet was like none I’ve seen in recent history. The usual focus on fashion took a back seat to the Times Up Movement that seeks to end sexual harassment in the workplace. 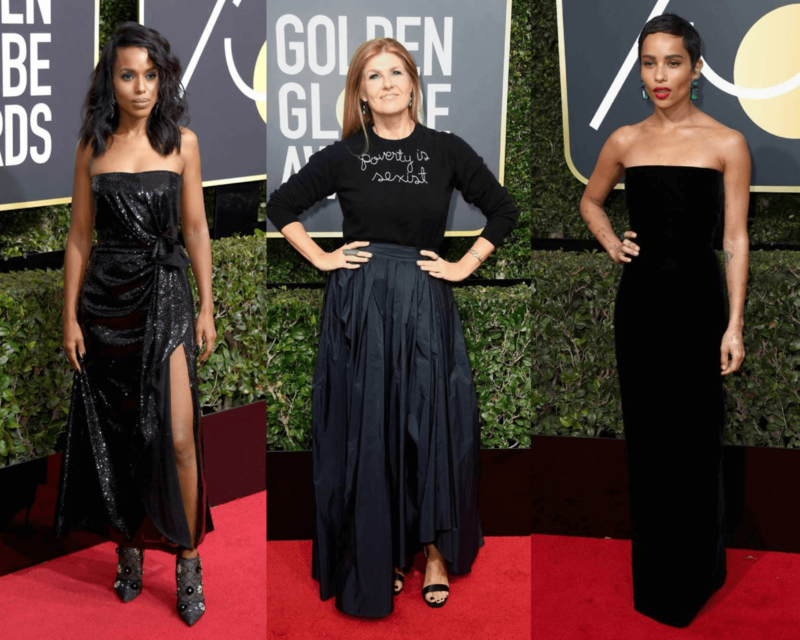 Hollywood walked the red carpet wearing black to show solidarity with a movement that has taken root in recent weeks following the sexual harassment and abuse claims against many of the industry’s power brokers. 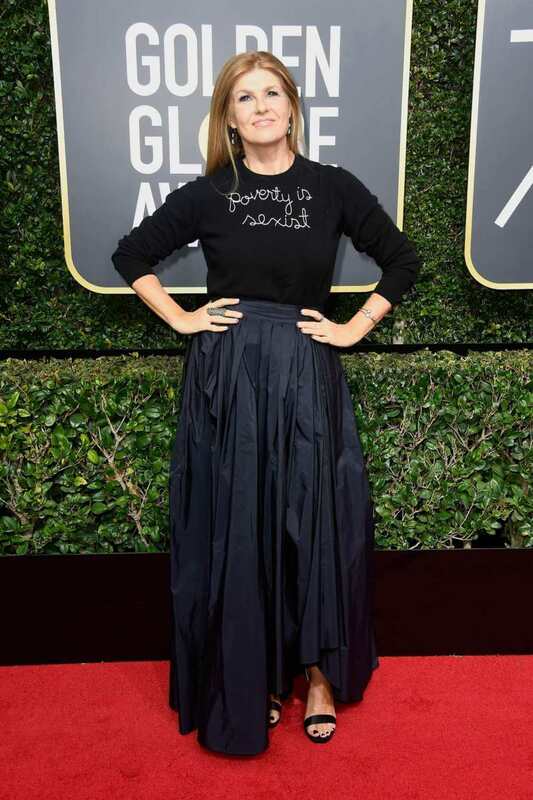 Rather than talk designers, dresses and jewels, the women of Hollywood highlighted the need for workplace equality, pay equity and representational equity on screen and behind the scenes. 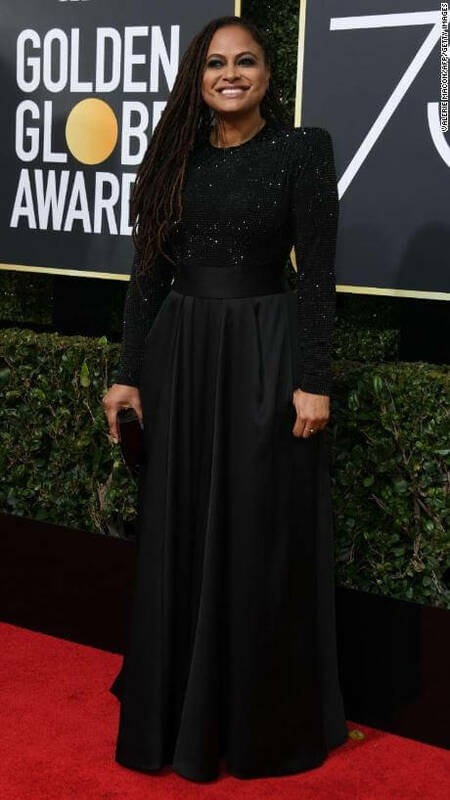 Some publications opted out of covering the red carpet this year in recognition of the seriousness of the issues being raised, but I think we can acknowledge the effort made to look good and still talk about the issues. Everyone wore black but no one showed up without a full beat and fancy shoes, so I think we can multitask. 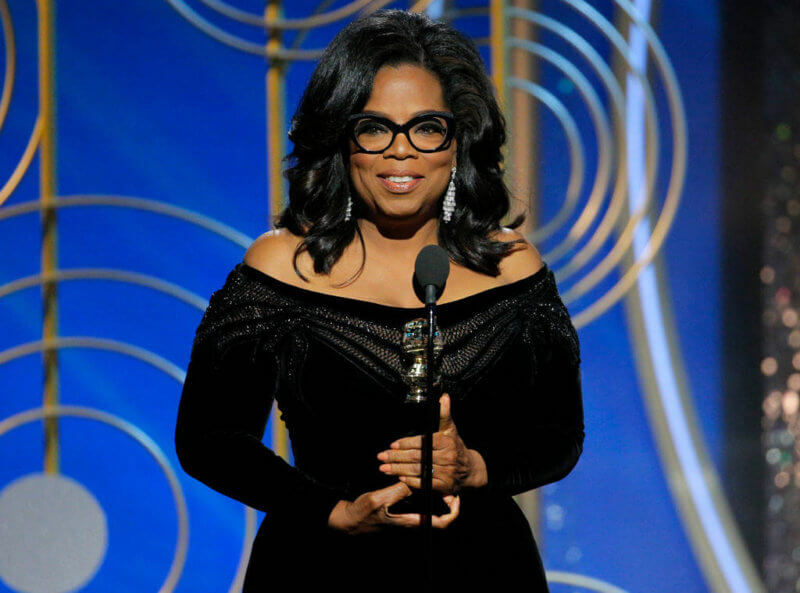 Oprah Winfrey reigned as queen of the Golden Globes. The recipient of the Cecil B. DeMille Lifetime Achievement Award, the always powerful, always inspiring Ms. Winfrey brought the audience to its feet three times with an acceptance speech that brought historical context to the moment, embodied the spirit of the Times Up Movement and illuminated a path forward. If you haven’t seen, I dare you to watch it and not be moved/inspired/called to action. I’ve included the video of her full speech below. Being constrained by color choice didn’t stop the show and I really enjoyed seeing how the stars expressed their sartorial individuality. Of course, there were some side eyes given but here are couple of my favorites. More in the slideshow above. 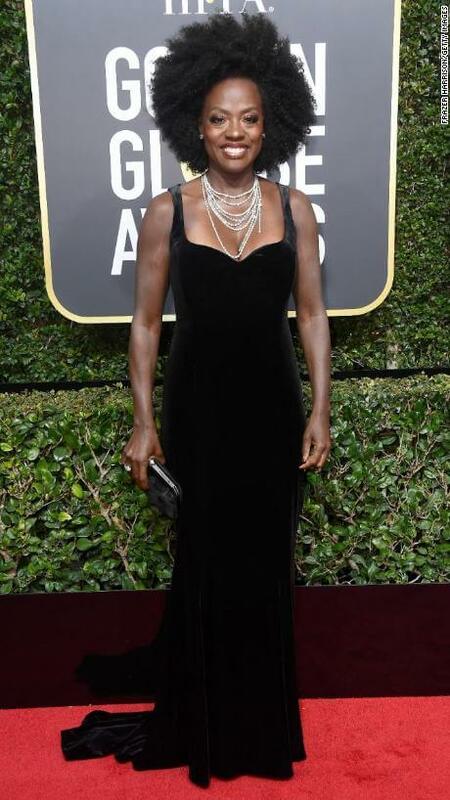 Viola Davis came through with that afro atop a sleek and simple black velvet gown! She looked like a Black Girl Magic Statue straight out of the 70s and I’m here for it honey. Angelina Jolie graced us with old school Hollywood glamour. 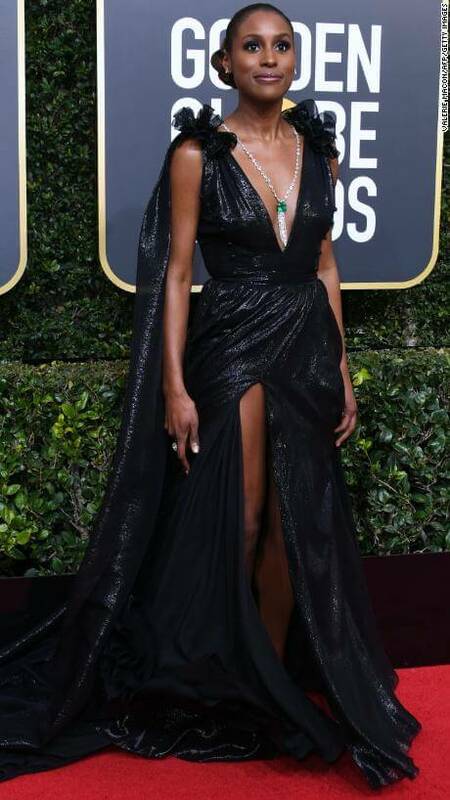 And Kerry Washington brought a youthful, tough girl vibe. She does such a good job of conveying feminine strength. The first time she impressed me with this quality was at the 2014 SAG Awards wearing a two piece custom Prada with a crop top and baby #1 on board. Loved it! Who wore your favorite dress at the Golden Globes this year? Sound off in the comments! I’m not into award shows. But the buzz had me going back and checking for them. The message was powerful. AND…Zoe Kravitz’s look was UH-MAZING!!! I loved the simplicity of it. Yes! Zoe’s look was fantastic. She’s so stunning, no adornment needed. Girl! Everyone looked STUNNING that night. You really can’t go wrong with black! I think my faves might have been Ashley Judd, Jessica Chastain & Zoe Kravitz. Something about those silhouetted looks! Yeah, black was definitely the way to go. I also thought Sharon Stone looked amazing! Liiiiiisteeeennn Viola’s hair was the MVP of the night. Zoe Kravitz is so pretty. 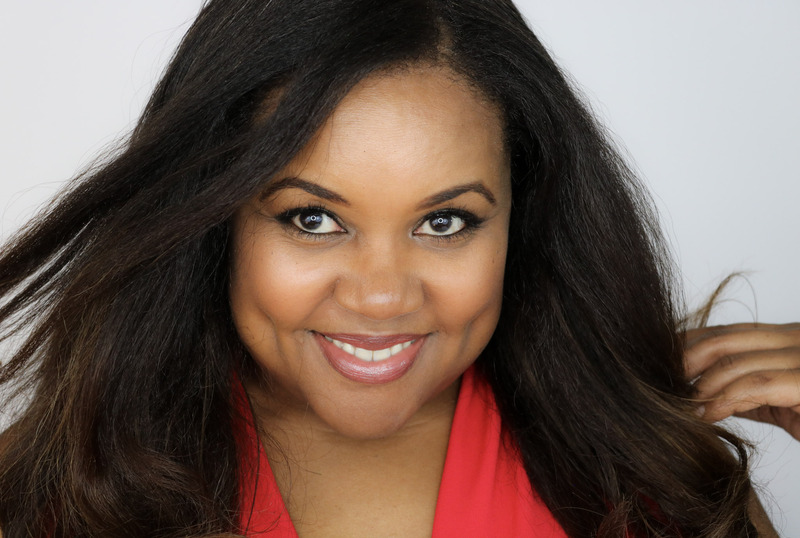 And Scandal chick’s hair was laidt…you hear me LAIDTTT!